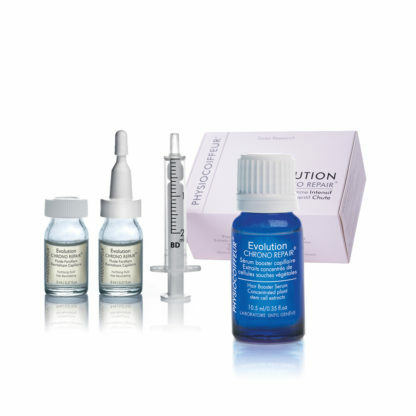 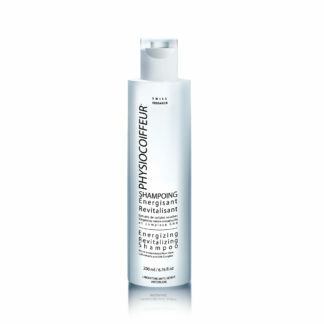 Issued from the advanced research of LABORATOIRE SINTYL Geneva Switzerland, Intensive Hair Loss EVOLUTION CHRONO REPAIR Program is an innovative Care designed to meet the specific needs of the scalp and thinning hair to preserve your capillary capital. Its high-performance formula combines specific complexes M.D.SC./E.A.SC./B.D.SC. 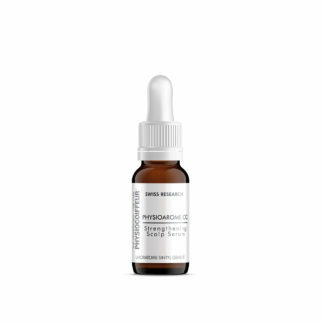 (micro-encapsulated concentrated extracts of vegetable stem cells), with an anti-free radical protective complex which prevents the oxidation of hair’s natural pigments and a DPLPR booster complex which helps to promote natural hair growth*.